Hi everyone! 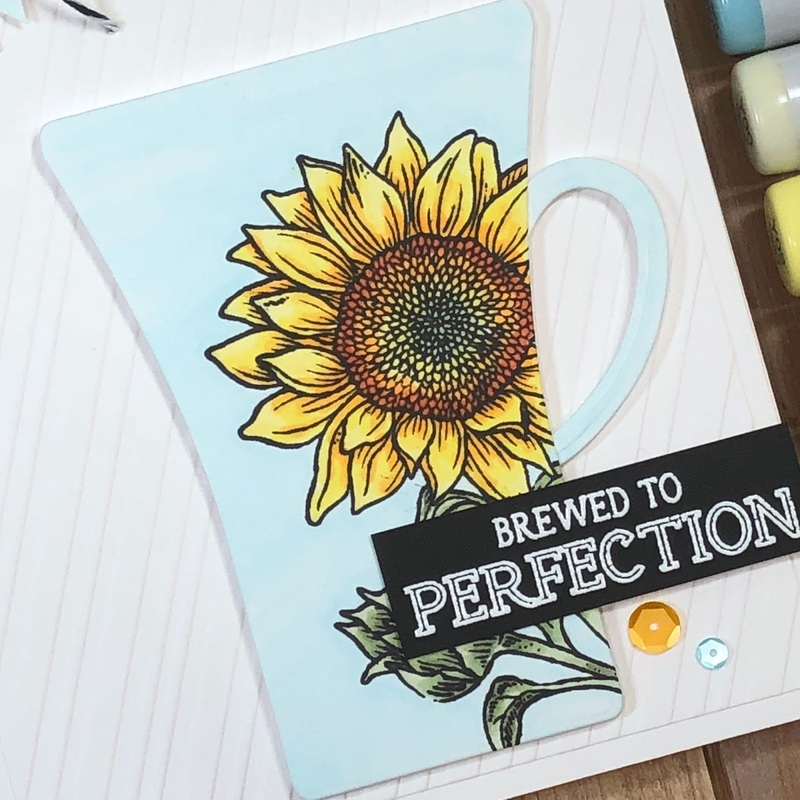 I have another card to share using the newly released Cup of Java stamp set and Java die set from Stamp Simply Clear Stamps. I love the clean lines of this java mug and thought it lended itself nicely to this super CAS design! 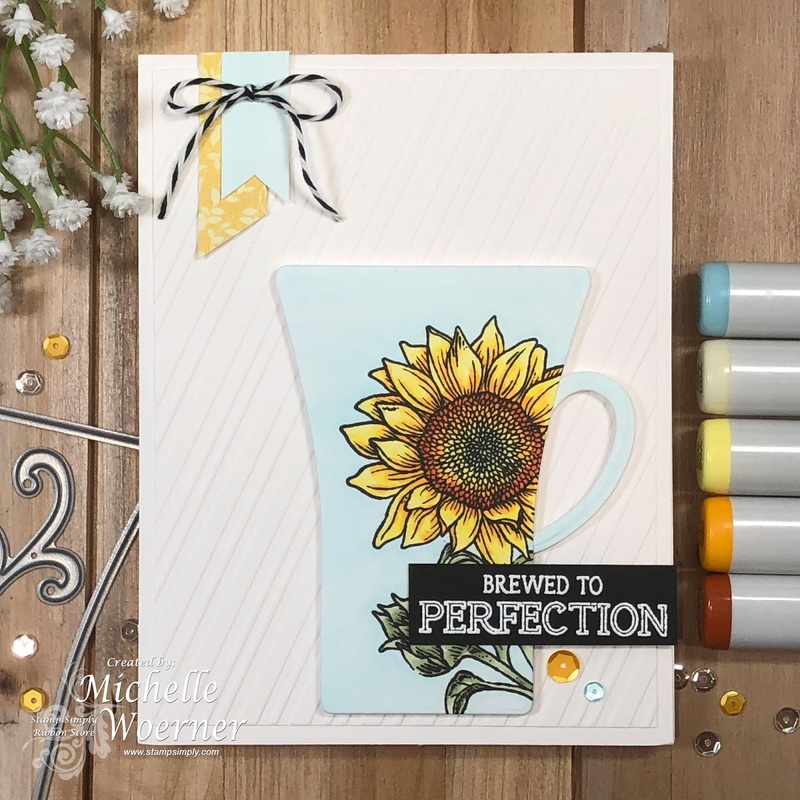 For this card I stamped the sunflower image from the Sunflower Seasons stamp set off the side of my mug. I used the larger of the 2 size options so I could see more of the flower. I have a few sunflower patterned cups and plates in my house and just love these happy flowers! The light aqua color of the cup and banner strip above it is actually white cardstock colored with a BG000 copic marker. It had it white at first, but blended too much into the background.